Paparazzi Proposals got the chance to capture a beautiful Hawaii engagement proposal photography session. Alex arranged a romantic walk on the beach but had a special surprise. 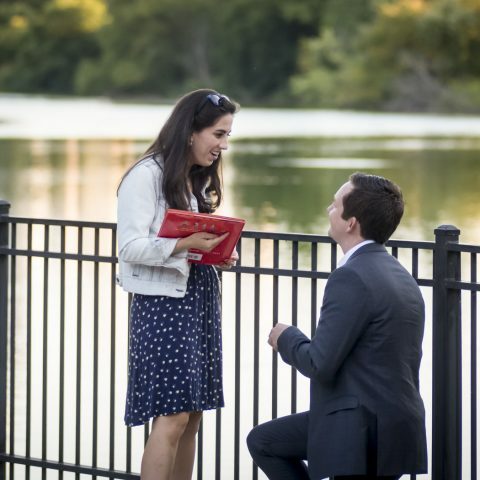 The newly-engaged couple shared with us their meeting story and how they fell in love. “We both met during Caylyn’s last semester of college. We actually first started dating through Tinder. I had noticed her wearing my high school alma mater which sparked up a conversation. But to our parents and most other people, our official story was that we randomly stumbled on each other at Mission Beach in San Diego, haha. There’s endless romantic and picture-perfect proposal options in Hawaii. Simply click here to view some of our favorite ideas. And if you want to bring out the romantic inside of you, make sure to follow us on Facebook and Instagram. Planning to propose in Hawaii? Work with the experts! Give someone from our team a call at 1 (888) 287-5120 for a free consultation. Let us capture your once-in-a-lifetime moment, forever.